How does the mono::ui::ConsoleView works ?, can you provide some sample code ? Is it possible to have multilines in TextLabelView ? Hi, sorry about the delayed response. Not really. Estimating battery usage and remaining charge is not straight forward. It requires a circuit that monitors the current flow from the battery. What you can do is to get a reading of the batterys voltage level using the ADC with a Fixed Voltage Reference. However, this will not give you any estimate of how much juice is left on the battery. 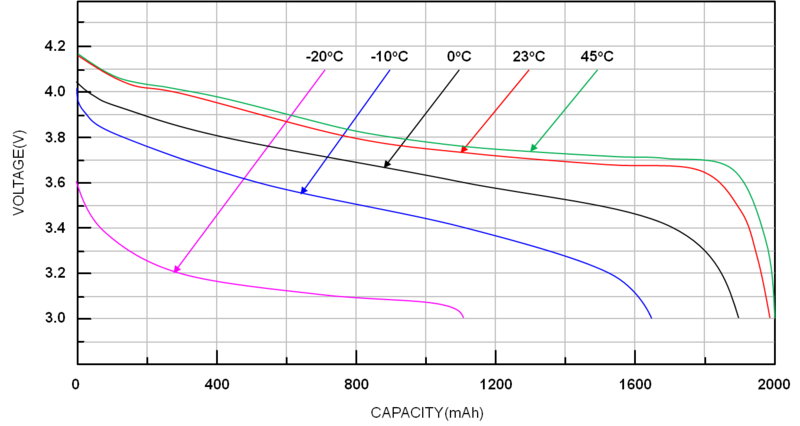 As you can see, a Li-Ion battery does not have a linear relationship between voltage and remaining charge. Yes, of course. This class was one of the first I wrote - so bear with me - it does not follow the design concept I use for later Mono classes and interfaces. This example creates a ConsoleView at the entire screen, and write lines to it on reset, sleep and wake up. Not really at the moment, but I am currently working on it - see the adafont branch on Github. If you wish to do multiline text, use the TextRender class. Use the TextRender inside the repaint() function in your own View class.